Later this year, we’ll be announcing the best restaurants in every category at the Eat Out Mercedes-Benz Best Everyday Eateries. 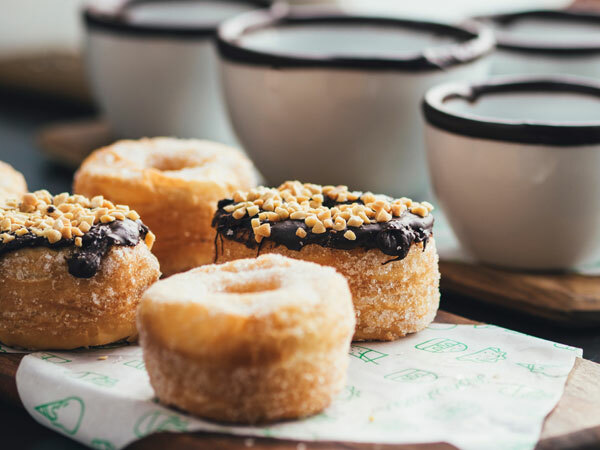 Based on a 50-50 split between reader scores and critics’ scores, the winners are the neighbourhood pizza spots, burger eateries and steakhouses we all love. Want to see your local spot in the running for an award? Write a review now. 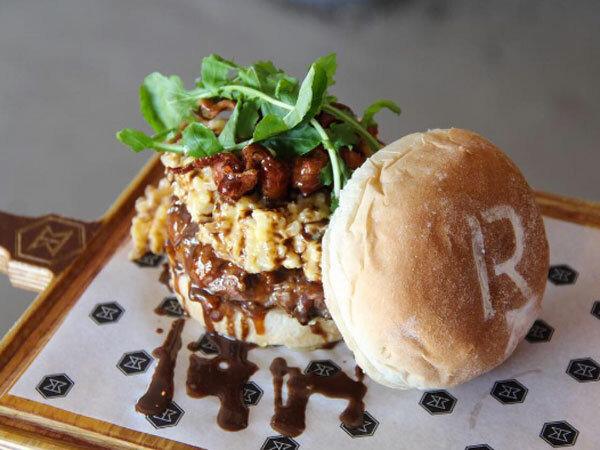 For every review you write, we donate a meal to a hungry child through Rise Against Hunger SA. Plus, you could win the Best Reader Reviewer Award. These are the restaurants that our readers are raving about this month. We started with pre-dinner drinks in the bar and then moved into the main restaurant. Love the modern industrial decor which lends itself to a cosy ambience in the way that everything is set out. The drinks and wine menu is extensive with our waiter giving good recommendations. We all chose something different from the menu – my sea bass was amazing; the best that I have had. My partner tried the rump and was not disappointed. The service was great with the management overseeing everything and ensuring that we were happy with our meal. Will be back. 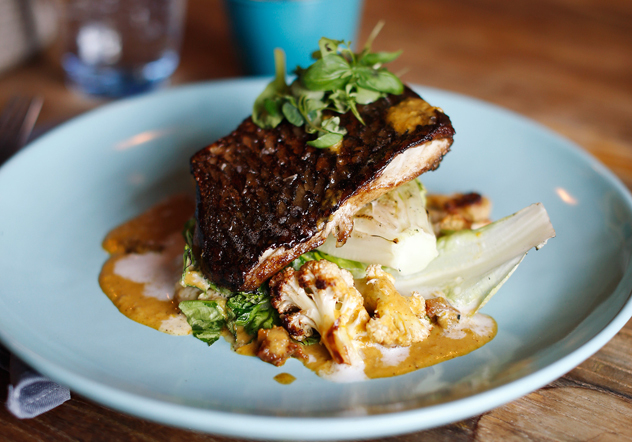 The seabass at Bolton Road Collection. Photo supplied. My boyfriend and I got to Forno Italiano late, right before their kitchen closed. The manager was really welcoming and took our order. Within 15 minutes, our food arrived. We ordered ravioli and pizza. The food was simply divine. I will definitely be back this weekend! Marabi Club has its own language of embracing you as their guest. The mood of the restaurant is consistent with their live band, and I believe the oh-so energetic waiters play a big role in the energy of the place. You tend to wiggle your hips while eating, like a little child, out of the excitement of the music, the great waiters dancing around you while gracefully serving your table and the smiles from the live band. The flavours of the food is meticulously thought out, from the starters, mains, down to the dessert. I am happy and proud to say I had the pleasure of tasting everything on their menu in one night between myself and 4 friends, yes, including desert. It was an unforgettable experience, my palate was upgraded and schooled that night. My favourite meal: butter-poached lobster, Sunday roast and for desert, pushing passion. Chef Vusi knows exactly what he is doing in that kitchen. What a nice place to have a Sunday lunch. Great food in a beautiful garden. Original Italian dishes. We enjoyed seafood dishes – fresh and tasty. Great wines and nice ambience. Trees older than 200 years made a difference in this Sandton centre place. Recommended. We had a wonderful dinner and I will definitely go there again. The restaurant was quieter than I expected, even for mid-week, and the wine selection was small but sufficient. The food was delicious, the specials board was extensive and flavours beautifully crafted. Presentation of the pork belly was a bit dull but quickly forgotten once you started eating. The pear and walnut salad and Caprese salad were both super fresh, perfectly dressed and really lovely. I especially appreciated that the perfectly ripe tomatoes in the Caprese Salad were not cold but were at room temperature, enhancing their smell and taste. The panna cotta technically cannot be faulted but was completely unremarkable while the creme brulee was perfection. 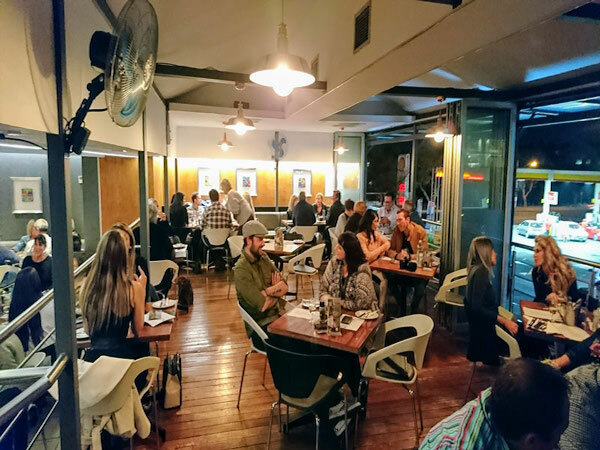 The staff were friendly, very knowledgeable, happily indulged the members of the table who had questions, were attentive but not disruptive and really elevated the entire dining experience. The short: Summerfields Kitchen offers an exceptional, but relaxed, fine dining experience in the middle of the bushveld. The long: One would not expect to have to pack your fancy clothes when planning a trip to the Kruger National Park. And despite its fine dining appearance, with Summerfields Kitchen you don’t have to. When we called to make our reservation (as calling ahead to secure your spot is definitely recommended), we were told that while the dress code is smart casual, they understand that visitors to this part of the world are more about the boots and khakis than the heels and strappy dresses. So with the men in their fanciest shorts and flip flops, we set off. Walking through the vegetable gardens to the restaurant feels like a visit to a farm house somewhere in rural France. (Okay… I haven’t actually been to rural France, but I could totally imagine a new divorcée finding herself in a setting just like Summerfields). The massive patio is surrounded by gorgeous old trees and French-style gardens, the bespoke tables made from the old bar counter adding to the impression that the people here truly love what they have created here. The menu is small and very seasonal, with dishes such as deep-fried quail with quinoa popcorn, kale risotto, seafood tagliatelle and duck with burnt orange crème. 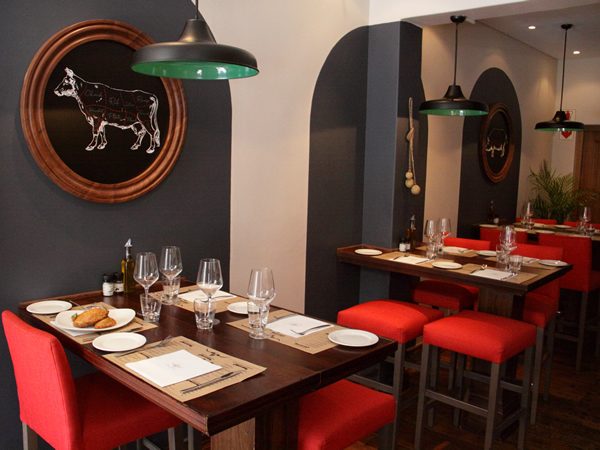 Carla’s is a marvelous South African Restaurant with Mozambican/Portuguese flair. The proprietor is bubbly, open and fun. The food is absolutely fantastic. Absolutely fabulous. 4 x friends and we had the time of our lives. Great service (Clement, thank you); great table; great food. Thank you. 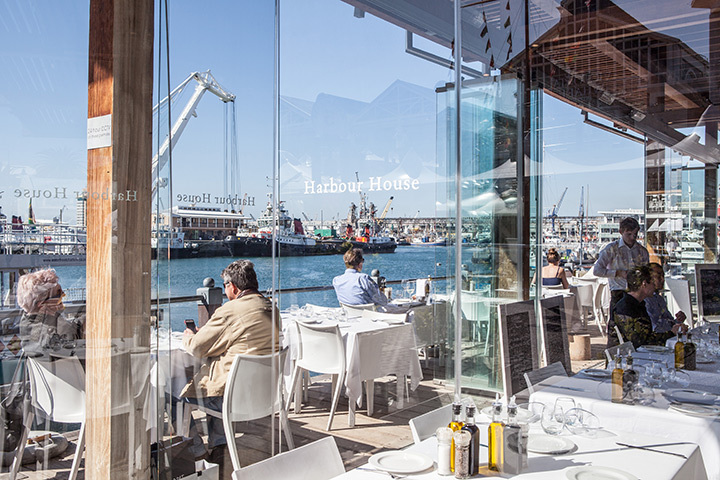 Harbour House at the V&A Waterfront. Photo supplied. 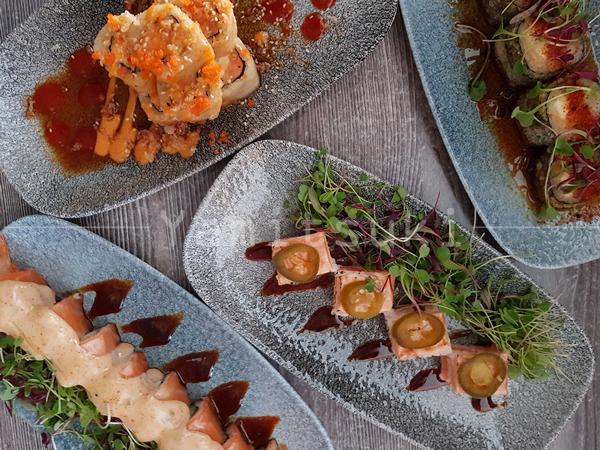 A year down the road and Hokey Poke are still hip and happening with food that is still a breath of fresh in a space that is often staid and out of ideas. Their food remains amazing, cheeky and fresh. If you want somewhere to go that is unique on all fronts, Hokey Poke is calling you. 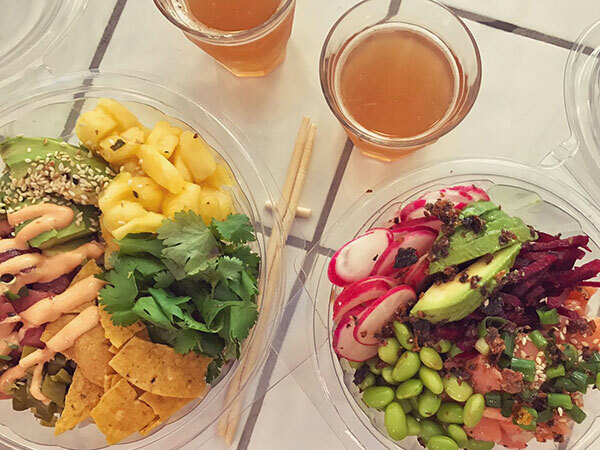 Poke bowls at Hokey Poke. Photo by Amy Ebedes. Undoubtedly one of my favourite eateries in Cape Town. Their menus are constantly changing and improving – and now they’re also open on Sundays with changing themed Sunday menus and a buffet option. Cute spot with a great balcony. I can recommend the Benedict. One of the best steaks ever at this cute restaurant. Put them on your to-do list – number one! 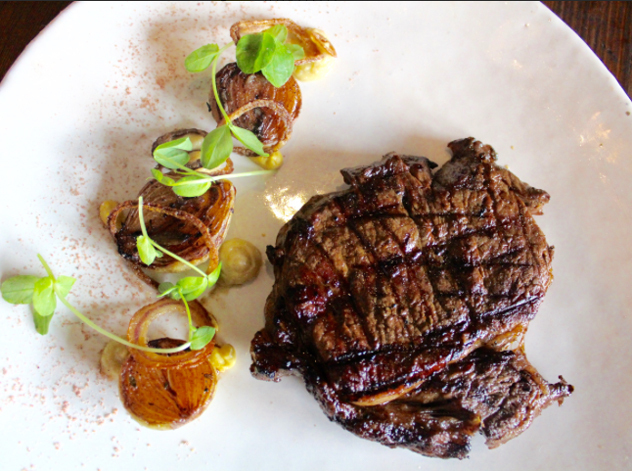 One of Primal Eatery’s glorious steaks. Photo supplied. 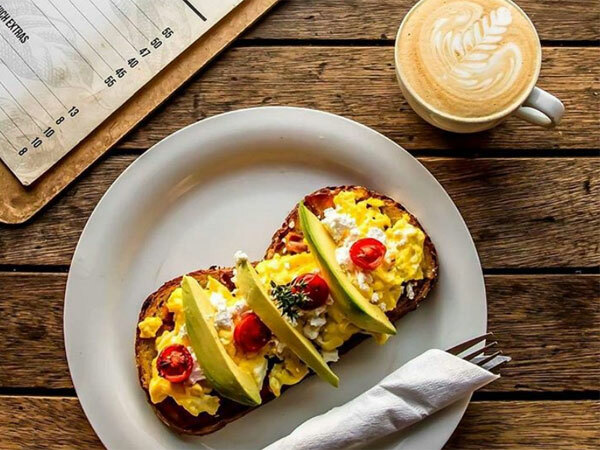 Lovely coffee – and the early morning R10 special is great value. I had “The Bomb” – was good. Staff are absolutely fabulous. Vibe is great at all times of the day. Minus Factor: I found the volume levels of the music being played to have been far too high to have a comfortable conversation, and on several occasions when I needed to have a business chat on the phone I had to go outside to complete the call. Music being such a subjective subject ….try to establish what the clientele is like [at a soothing volume] imho ! Keep on growing ! Wonderful atmosphere and friendly staff makes this a great place to dine. Lovely choices for breakfast, and cakes to die for! Great decor, will definitely recommend! Friendly and fast service. Excellent coffee! Superb food quality and very very clean. Thoroughly enjoyed. This has been the find of 2018 for us. Forage has seen to each and every need that the diner could possibly have and has taken care to surpass all expectations. 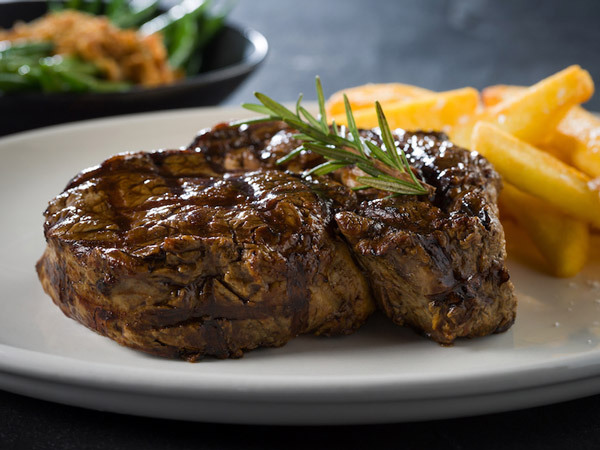 This restaurant can easily and comfortably go toe to toe with the best of them in SA. Their focus on sustainability and seasonality coupled with the touches of veld herbs and bushes is innovative and refreshing, creating an almost cerebral dining experience. We have visited the restaurant a couple of times on road trips and destination travel. Recently we hosted an event at the hotel, my sister’s 50th Birthday bash, and spent the weekend there with 25 friends and family. Chef Derrick was very accommodating and pulled together an incredible menu for us. This is authentic Karoo food, fresh and delicious – highly recommend breakfast, the picked fish for lunch or the butternut salad and lamb ribs for dinner, you will want the recipe for the ribs… If you can convince the chef to bake you a chocolate cake then this is the best chocolate cake you will ever taste, not too sweet with the right balance of texture and taste, we had guests asking for seconds, seldom happens at an adult birthday party! Loved every moment at the Bistro! Well done Overhex! Some reviews have been edited for clarity and length. To read the full versions, click on the restaurant’s name.